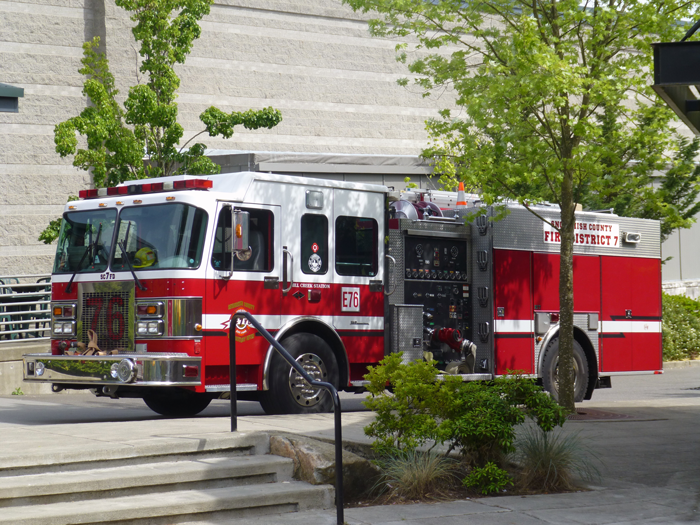 Snohomish County Fire District 7 responded to 383 calls from November 13th to November 25th, 2018, with 85 of the calls being in Mill Creek. At 11:09 a.m. crews were dispatched to a reported fire inside of a hopper at the 17100 block of Tye Street SE near Monroe. The response was quickly upgraded to a commercial fire response which added additional units. With the help of several crews, firefighters were able to contain the fire to the hopper, evacuate the smoke that had accumulated inside the building and check for any fire that had extended from the hopper. No injuries were reported and the Fire Marshal was requested for investigating the cause of the fire. Fire District 7 was dispatched at 3:33 p.m. to a fire in a garage that was converted into a living space at the 17300 block of Bothell Everett Highway in Mill Creek. When crews arrived they quickly pulled a hose line and made entry into the structure. Ladder 72 cut a hole in the roof to allow heat and smoke to escape the structure. Firefighters were able to contain and extinguish the fire before the fire spread. During the primary search Engine 76 located two small family pets and were able to remove the uninjured pets from the structure and reunite them with their family. No injuries were reported. The Snohomish County Fire Marshal was on scene investigating the cause of the fire. The holiday season is in full swing and we hope you and your family can celebrate together. Remember to choose decorations that are flame resistant and to keep all decorations away from any heat source. Use clips, not nails to hang lights so the cords do not get damaged. Most of all, before you head off to bed or out the door, blow out all candles and turn off all light strings. Fire District 7 wishes you and your family a happy and safe holiday season!